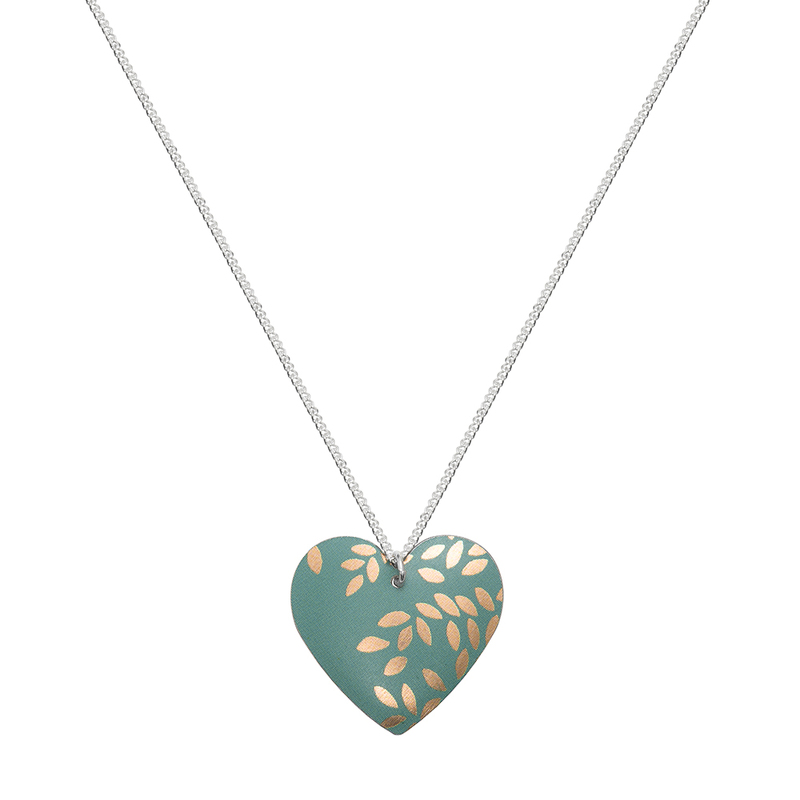 A round heart necklace handmade in our Kyoto Garden print. 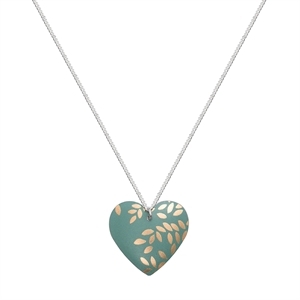 A pretty round heart pendant that is one of our most popular designs! Heart pendant is supplied on an 18" sterling silver curb chain. Heart measures 22mm x 22mm. 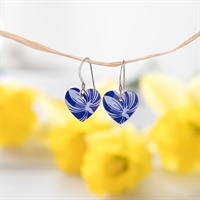 Small heart studs in our Italian Blue print. 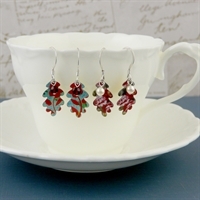 Oak leaf earrings handmade from our collection of sweet, biscuit and toffee tins.